HomeIndustry TopicsBusiness managementThinking of Divorcing Your Bank? Thinking of Divorcing Your Bank? Here’s five steps to make a tough job easier. Furious public reaction to the recent announcement of oppressive new debit-card fees caused some banks to back off their plans in a hurry! But you can rest assured banks will continue to fish around for more ways to part you and your business from your money. If the recent attempt at a money grab was the last straw for you or you’ve been thinking about parting company with your mega-bank for some time, your first job is to make sure you’re not going from the frying pan into the fire. Not every bank will represent a big improvement over the policies of your present bank, so you need to do your homework by first investigating the policies and fees of the new bank you are considering. Is your new bank on sound financial ground? Log on to Bankrate’s website for the latest information. Click on “Banking” on the main menu and then on “Bank Ratings” for reviews of thousands of banks and credit unions. Look to see if the bank you are considering has Bankrate’s “Safe and Sound” rating. Since unreasonable fees at your present bank may be one of the most compelling reasons to consider a change, you should ask the bank you are considering for a complete list of its banking fees. Many banks are working to attract small business owners with special offers. Ask about low-fee or no-fee business checking accounts or other offers that may benefit you and your company. Does your new bank offer online banking and is its website intuitive and easy to use? How long will the bank hold new deposits before making the money available to you for withdrawal? Is the use of its ATMs free or will you be paying a charge each time you use one? Will management personnel be available to you if you have difficult questions or an issue you feel needs attention? How easy will it be to gain access to upper management for a resolution should you have a serious issue? Talk to friends and business associates who may be customers of the new bank you are considering. The most dependable advertising of all is word of mouth from satisfied customers. While you can do much of your research online, there is no substitute for personal contact. A visit with the branch manager of the bank you’re considering will give you the opportunity to get a feel for whether the chemistry will be right for you. Once you feel the time has come to make a move and you’ve found the bank you think will make it all worthwhile, these five tips will help to make a dicey job a lot easier. Start by examining at least two of your recent bank statements to make a written list of any direct deposits and recurring payments automatically being credited or debited to your current account. This important first step is necessary for a smooth and painless transition to your new bank. Next, open an account at your new bank. Then contact every company on the written list above. Ask them to switch their transactions to your new bank. To do this, you’ll need to provide them with the new bank’s routing number and your new account number, so they can begin making deposits and debits to the correct account. 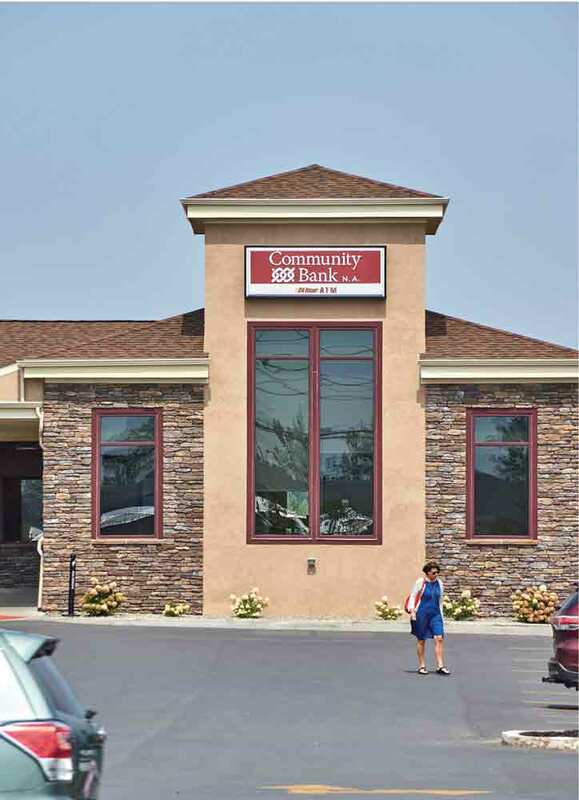 Ask them how long it will take to make the change.You can find the new bank’s routing number and your checking account number within the string of numbers located at the bottom of one of your new checks. The numbers at the bottom of your check include a nine-digit bank routing number, your account number, and the check number.The nine-number string at the bottom left of your check is your bank routing number. This number is always nine digits long. Your account number will be to the immediate right of the bank routing number. The third set of numbers will be the check number, which you can verify by comparing with the number of the check. If all of this seems a bit daunting, check with the bank you’re considering to see if it provides a switch kit. Switch kits provided by some of the quality banks make it easy to give your new bank the info it needs to make the switch so you don’t have to. Chances are your new bank will have other help available for every step throughout this process. So be sure to ask. For some, this whole business may seem like too much work! If that’s you, check with organizations that specialize in switching banks. For a small fee, firms will help you untangle yourself from all this detail by providing you with step-by-step instructions, phone numbers, website addresses, and forms to switch all your automated transactions. Regardless of how you proceed in the switching process, it’s important to keep both accounts open until you’re sure everything has been changed over and the entries are showing up on your new bank statement. Some of the firms making automatic credits and debits will be much slower than others in making the switch. As you will have gathered by now, if your present account doesn’t involve any automatic credits or debits from outside firms, the job of switching over will be greatly simplified. Once you’ve confirmed all the previous credits and debits, if any, are appearing on your new bank statement, and all checks have been cleared from your old account, your work is done. You can now close out your old account and breathe a sigh of relief. However, if you decide to place yourself among the adventurous souls who turn the trick, you’ll at least have the satisfaction of knowing you didn’t just stand by while the powers-that-be in your old bank convened in dark corners cooking up new ways to part you and your business from your money.